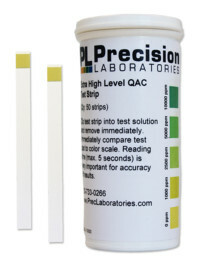 The High Level Chlorine test strip tests levels of free chlorine in a solution, in steps of 0-50-100-250-500-1,000ppm, giving results in just seconds. 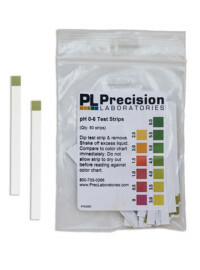 This test strip is used where higher levels of disinfection are required. The higher range provides a much higher degree of certainty that all organisms are either killed or rendered ineffective. 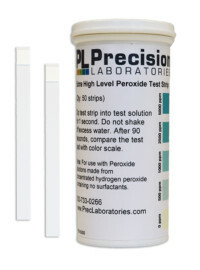 We also have higher level chlorine strips available, including our Active Chlorine, which measures up to 2,000ppm and our Extra High Level Chlorine, which measures up to 10,000ppm. 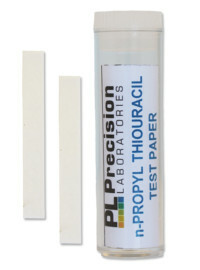 Remove one High Level Chlorine test strip from the vial, being careful not to touch the test pad with your fingers. 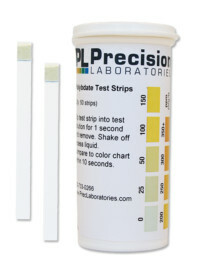 Dip the test strip into the solution being tested for 1-2 seconds. 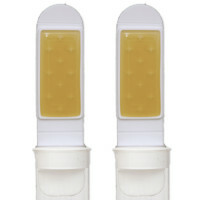 Remove and immediately compare against the color chart.